Hi, everyone! Been getting a lot of questions about this lately, and yes, the entire Interim Goddess of Love trilogy is done, published, and available worldwide in ebook and paperback through Amazon, Smashwords, Barnes and Noble, Book Depository, Apple, and other sites. If you absolutely cannot wait, you can get the international edition paperbacks by ordering directly from me. And hmm how about a sale? Order and pay for your books on or before September 15 and get the entire trilogy for P950. 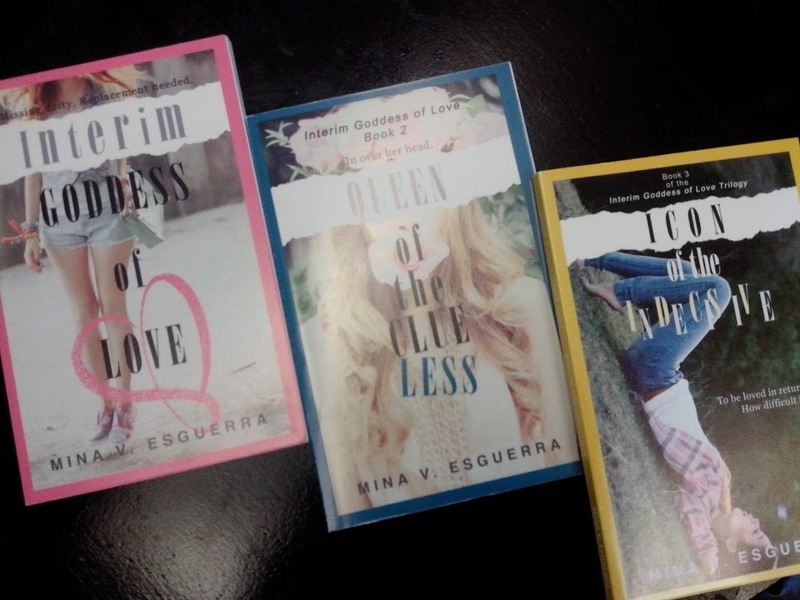 (Regular price is P1,050 for all three books.) Claim them through a Libis QC pickup, or add P70 for Metro Manila shipping/P100 elsewhere in the Philippines. Email minavesguerra at gmail dot com to get the payment details. 🙂 Thank you! Hi Ms. Mina, I&#39;m a big fan of you and your works. I&#39;ve been dying to get my hands on the set ever since I purchased the first book published under summit and now that I just found out about the paperback version. I was just wondering if the trilogy is still available for me to purchase? Hello! I&#39;m doing a small printing of the 3rd book! details here 🙂 bit.ly/igol3preorder<br /><br />thanks for contacting me!